My first foray to the Apple territory is with an iPhone 4s. I used to not understand what the fuss was about until I first used it and realized all the amazing things it could do. (I totally sounded like a fangirl there, heh.) I also use an iPhone 6 and now I can't imagine doing my job without it. We use WhatsApp, email, and other messaging and lifestyle apps extensively for work and I seriously don't know how we could manage otherwise. Anyway, I'm sharing this now because an exciting new addition to the Apple handset family is here, and Beyond the Box will be holding a midnight launch! I won't be there because I'm flying out of Manila this afternoon for a work trip, but I'm inviting you to check it out. 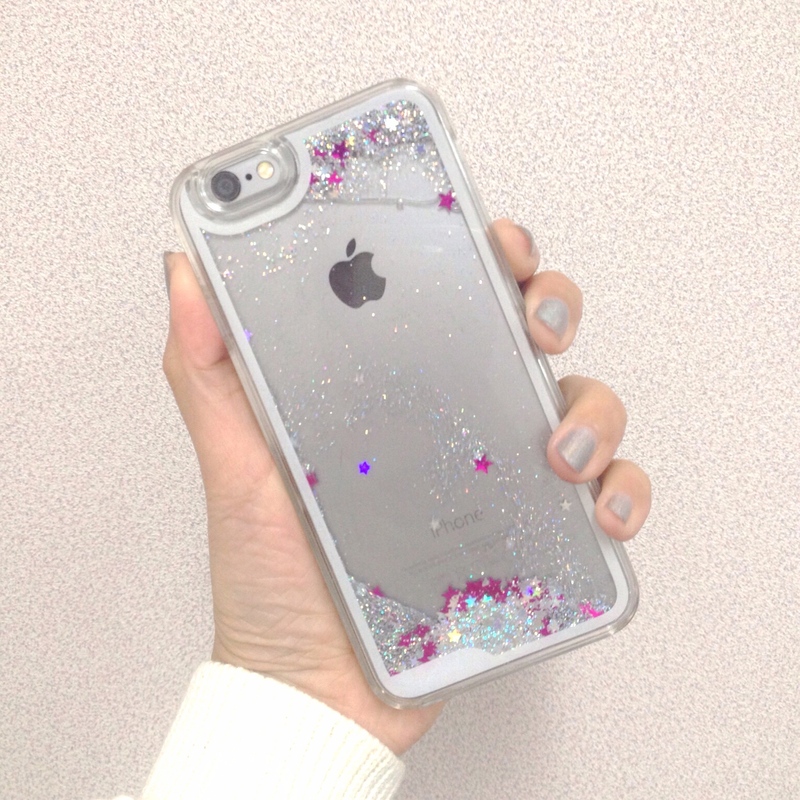 I'm not due for a new phone anytime soon but I'm kinda hoping I am because that rose gold iPhone 6s is such a thing of beauty *heart eyes emoji* Anyway, if you are looking to get one, I recommend that you go get it from Beyond the Box in Century City Mall tonight! Line up for the event on November 5, 11:00 pm, at Beyond the Box in Century City Mall and get treats from our partners Krispy Kreme, Scout’s Honor, The Beef by Hole in the Wall, and Edsa Beverage Design Group. 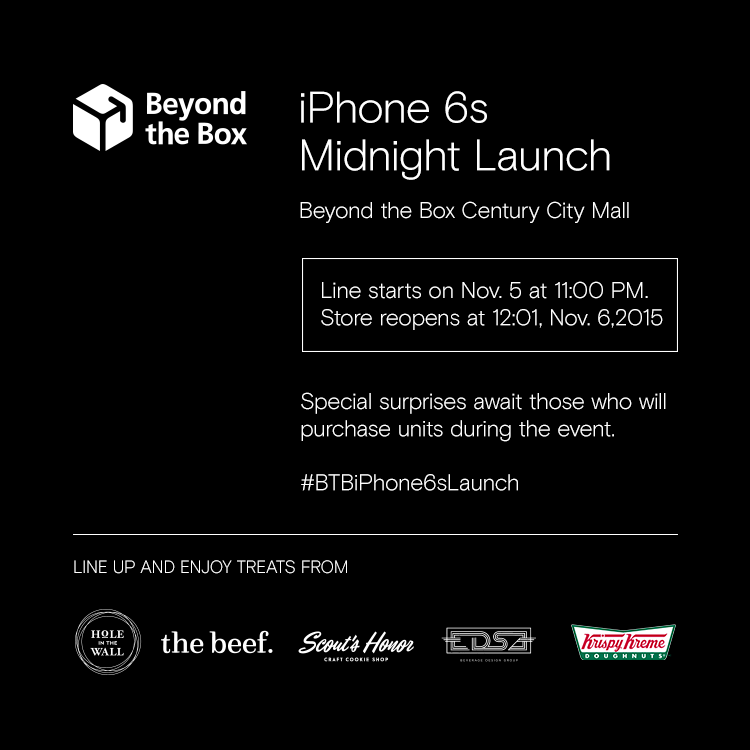 When the clock strikes midnight on November 6, ardent Apple-holics and tech enthusiasts can finally get their hands on Apple’s best iPhone yet! Are you coming? Tweet me if you are! As for me, I will be checking out the #BTBiPhone6SLaunch hashtag and be envious of your precious new phones. Heh. Enjoy!